broad coverage of sample types, accurate size-based particle level measurement and quick turnaround. Read more about advantages LipoSEARCH has to offer. than 200 scientific papers has been published based on the test data using LipoSEARCH. Unlike conventional testing methods, LipoSEARCH requires only 10µL serum/plasma injection for full analytical test. for full analytical test. Thus, you can perform time-course studies while keeping important test animals alive. 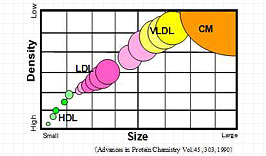 Further to full and accurate lipoprotein profiling data, LipoSEARCH provides lipoprotein particle size measurement result with a focus on Small Dense LDLs that are believed to contribute to the development of atherosclerosis. 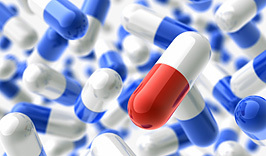 LipoSEARCH subclass analysis helps researchers to determine the effectiveness of medications where conventional index such as LDL-C offers insufficient predictors. 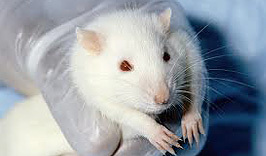 LipoSEARCH is also expected to be an alternative to animal testing especially in the field of functional food development. 2018.03.30 We exhibited at the EAS (the European Atherosclerosis Society) 2018 in Lisbon,Portugal. Please feel free to visit our booth. 2018.03.30 We exhibited at the XVIIIIth International Symposium on Atherosclerosis (ISA 2018) to be held in Toronto, Canada from June 9-12, 2018. Please feel free to visit our booth. 2017.07.07 We exhibited at the 49th Annual Meeting of the Japan Atherosclerosis Society in Hiroshima,Japan. 2017.04.30 We exhibited at the EAS (the European Atherosclerosis Society) 2017 in Prague,Czech Republic. 2016.07.15 We exhibited at the 48th Annual Meeting of the Japan Atherosclerosis Society in Tokyo,Japan. Search papers of your interest.